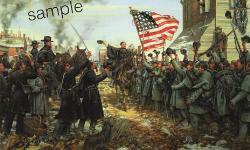 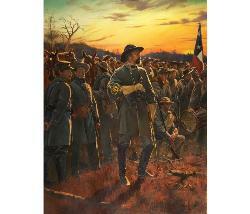 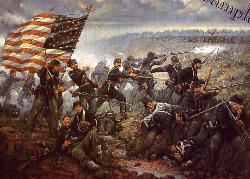 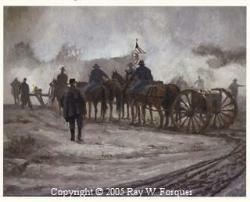 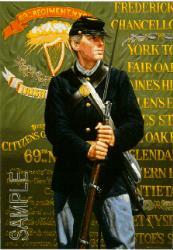 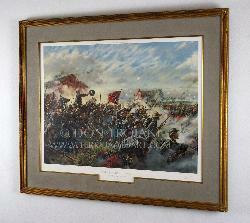 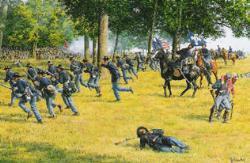 July 2, 1863 Overlooking the battlefield at Gettysburg the First Minnesota Vol. 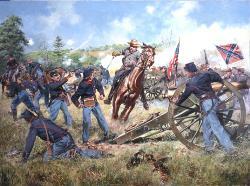 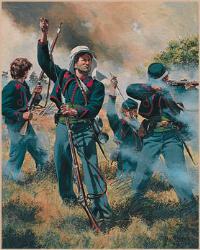 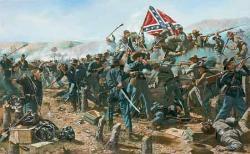 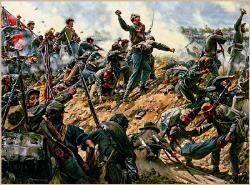 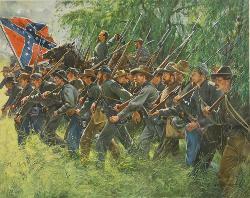 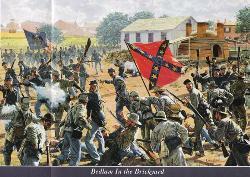 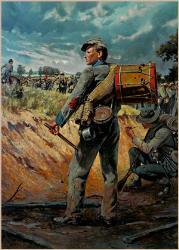 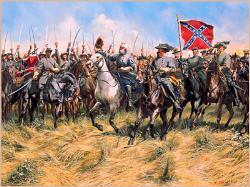 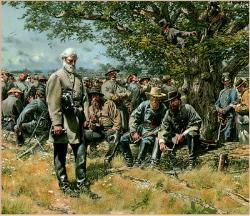 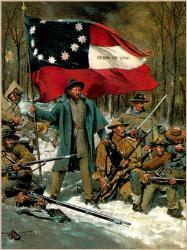 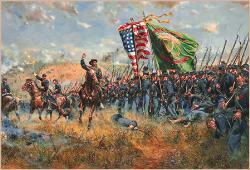 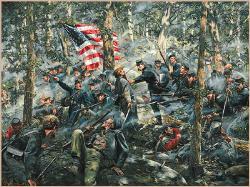 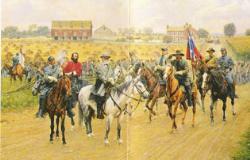 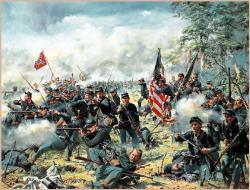 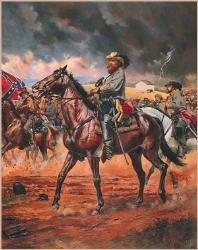 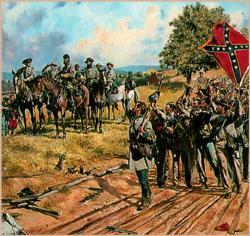 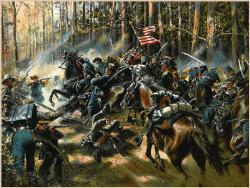 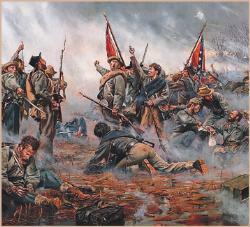 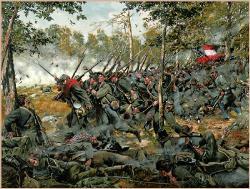 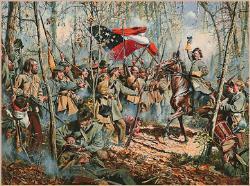 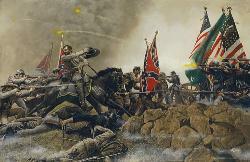 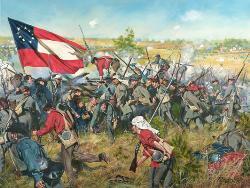 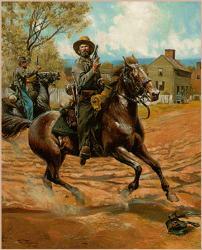 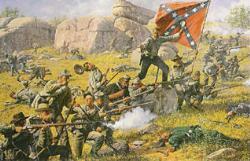 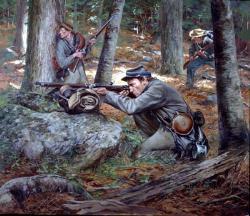 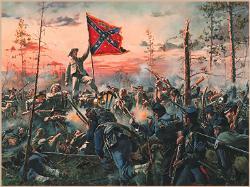 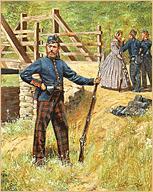 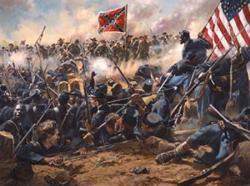 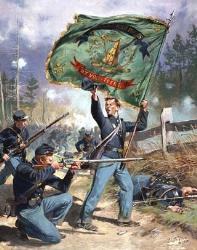 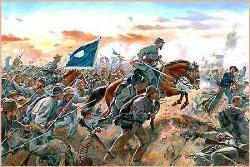 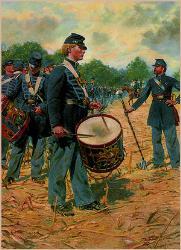 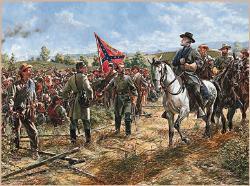 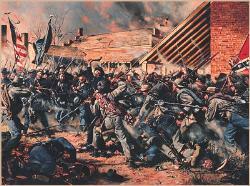 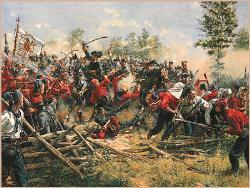 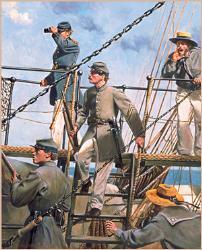 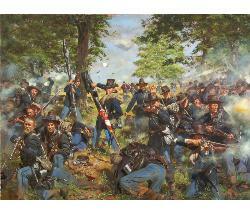 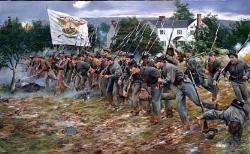 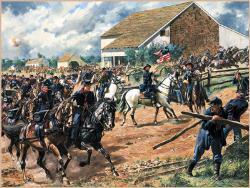 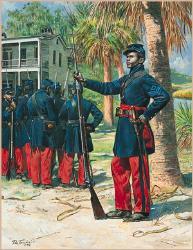 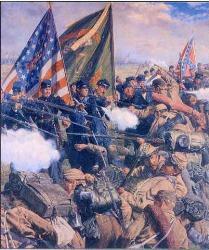 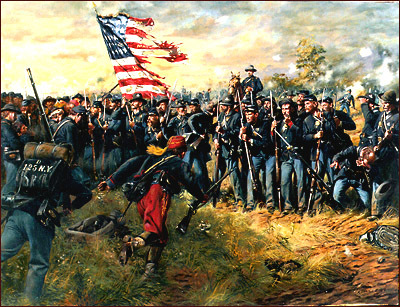 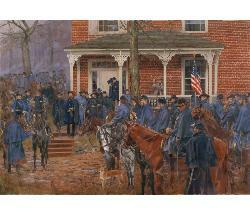 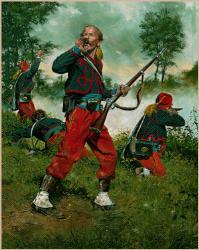 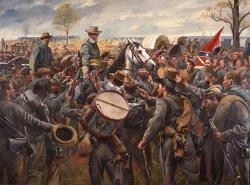 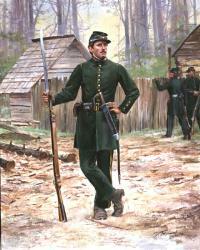 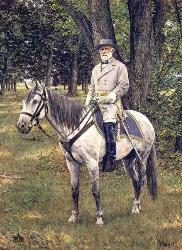 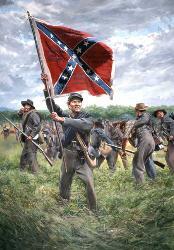 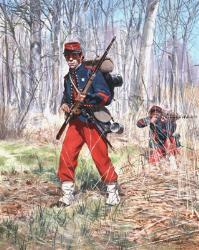 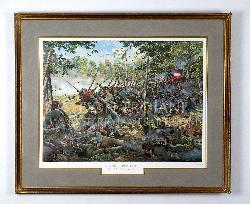 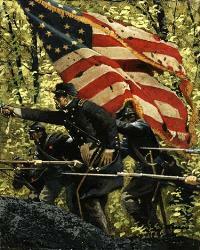 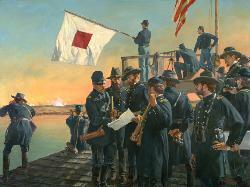 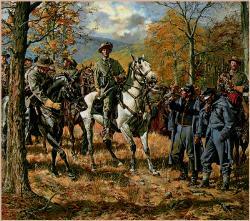 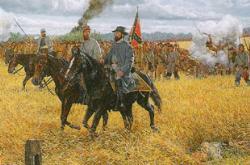 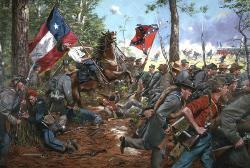 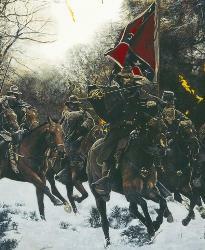 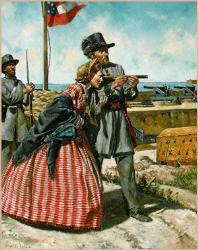 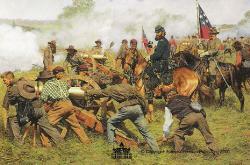 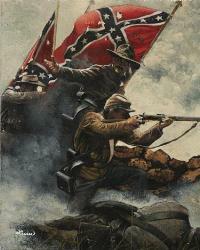 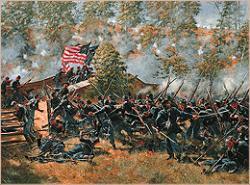 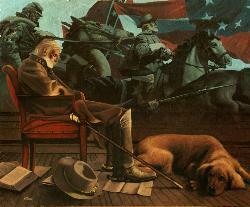 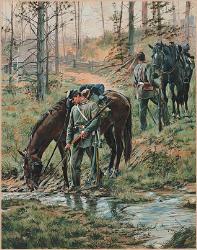 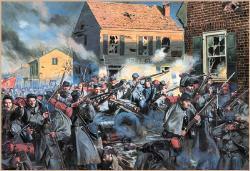 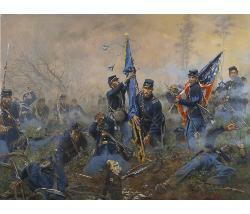 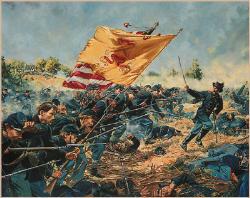 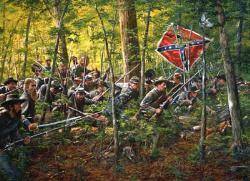 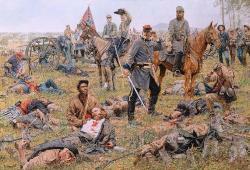 Infantry could see their lines crumbling under Confederate attack. 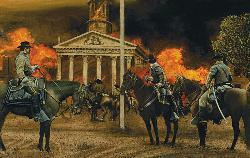 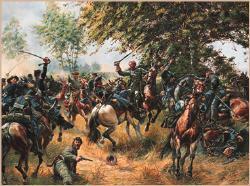 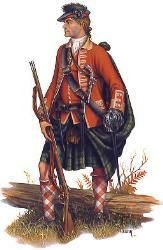 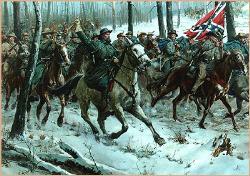 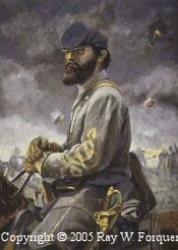 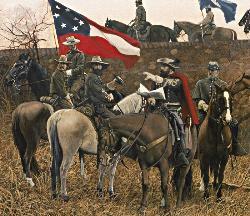 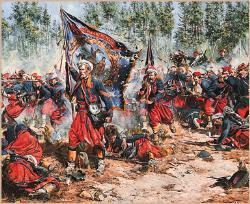 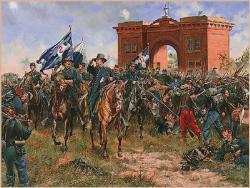 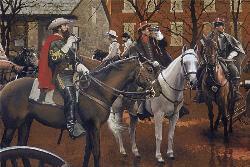 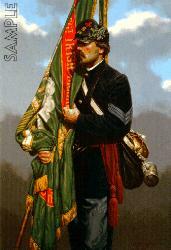 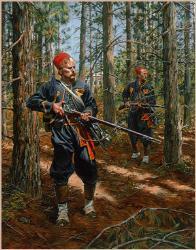 At that moment, Union Second Corps Commander Winfield Scott Hancock galloped up, and in desperation ordered the Minnesotans forward. 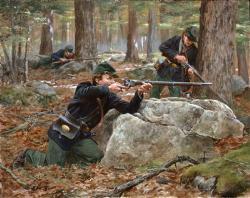 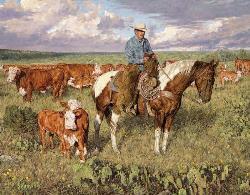 26 1/2" x 20 1/2"